Can I use Stars Testimonials on more than 1 domain? How long is my paid Stars Testimonials license valid for? Once you purchase any paid plan of Stars Testimonials, you can use it forever. Support and updates are available for 1 year. You can renew your license each year to get another year of support and updates. Will Stars Testimonials stop working if I don’t renew my license? 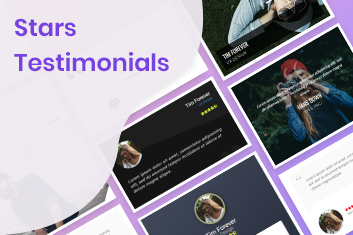 Your Stars Testimonials plugin and all your settings will continue to work as before; however, you will no longer receive plugin updates including feature additions, improvements, and support.